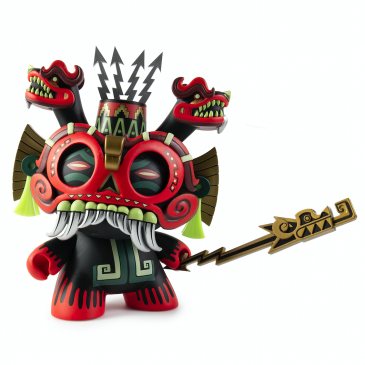 Kidrobot x Jesse Hernandez Tlaloc 8″ Dunny Online Now! Fully Laced is getting down with artists Bigfoot and Jesse Hernandez this Sunday, April 22 at the Dunkxchange in San Francisco. Jesse Hernandez’s Urban Aztec empire spread to Kidrobot New York last Friday night with the sold-out release of his new Calavera Dunny. The hype hit the fan last night at Kidrobot San Francisco as Jesse Hernandez pre-released his new Calavera Dunny. Join him tonight at KRLA and Friday at KRNY. Jesse Hernandez is hitting the road to celebrate the release of his new Calavera Dunny and touring through San Francisco, Los Angeles and New York, December 14-16. Get you bid on for Jesse Hernandez and MAD’s custom 4-foot Dunnys created at ARTRAGEOUS. Aaron Brothers is proud to present the in-store live art event, ARTRAGEOUS, this Saturday, September 17 with Jesse Hernandez and SCAPE. SF based artist, Jesse Hernandez was holding it down at SDCC yesterday for the exciting release of El Bandito Muerto. The Immortal Jesse Hernandez was blowing up the spot all weekend at the KR Pop-Up shop in the Cosmopolitan Hotel Las Vegas.